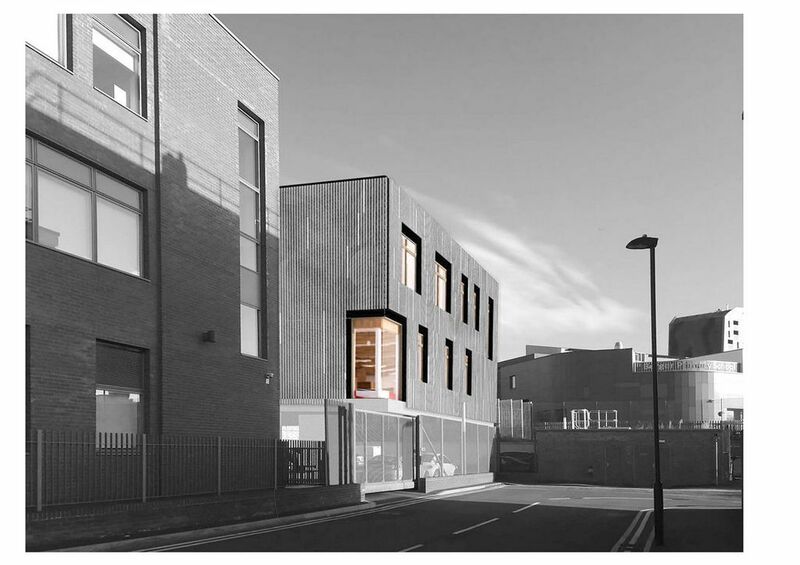 16.02.26 New Library Building for Cardinal Pole School, Hackney receives Planning Consent. This Proposal is for a new Library Extension at Cardinal Pole School, located at the rear of the existing school which was designed by Jestico and Whiles. The building will be linked to the existing school with a bridge link on each level and will connect with the upper level of the playground at the rear. The building proposed is designed to match the scale of the existing 3 storey school buildings. It is to be clad in terracotta battens with the principal construction material being Cross-Laminated Timber.